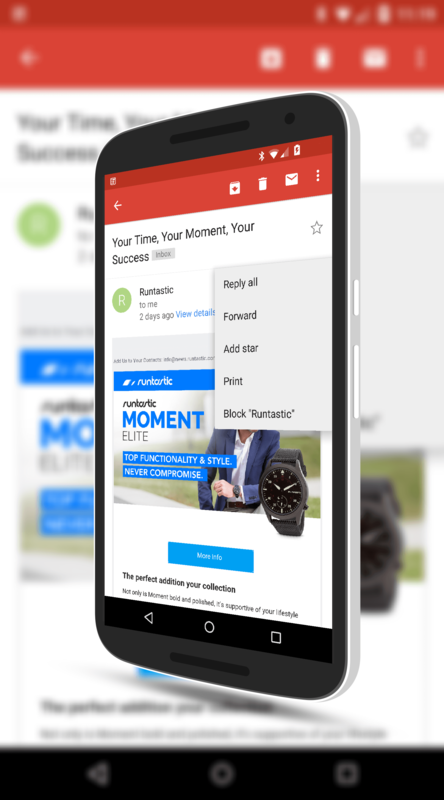 The latest update to Gmail for Android is finally bringing Rich Text Formatting to the email app. The update has been released to the Google Play Store but it may be a few days before you see the OTA update on your devices. Once you do, the ability to bold, italic, color, highlight and underline text will be available for you when you are creating an email. Rumors of these features coming to Gmail have actually been floating around for a few months now. Several sites have done APK teardowns that have shown the handlers in the code for the ability to do this type of formatting but until this point it hasn’t been available. Rich Text Formatting will further bridge the gap between what you can do on your PC versus what you can do on your mobile. Now you can emphasize a point or highlight text easily by tapping-and-holding the text which will bring up a formatting toolbar. This will give you the option to make your format changes quickly and easily. When you are done, tap anywhere and the toolbar will disappear. Frankly it works much like other apps do (Outlook for example) so this is very much a catch up items for the Gmail team. The other big new feature that is coming with this release is Instant RSVP. If you use Google Calendar or Microsoft Exchange, calendar invitations now include a one-tap option to show your schedule and respond. No more opening up separate apps just to see if you can squeeze in a meeting. Once you have the new version of the Gmail app you will have these features. All the back end processes on Google’s side have happened already so you are good-to-go.